Cuba is back on the map for Americans wanting to visit the island. There are a few things you’ll need to be aware of before hopping on a plane to this intriguing and exotic destination. Here are ten things you need to know before visiting Cuba. 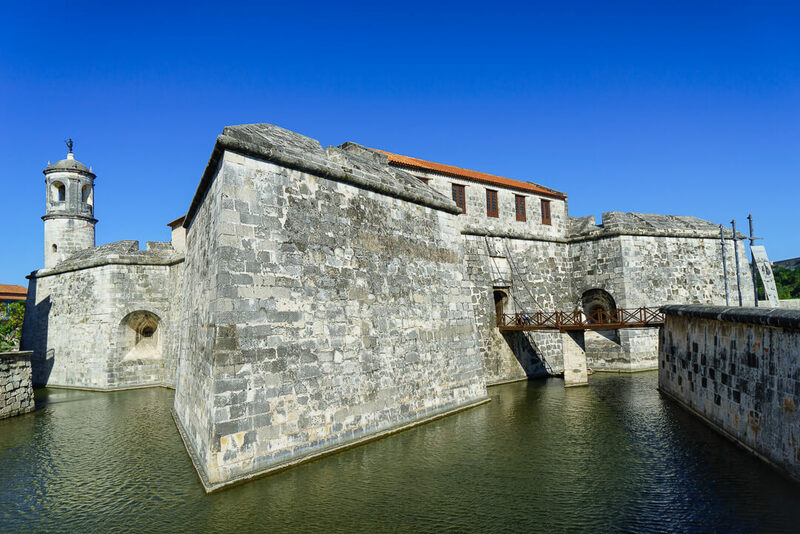 From the 1920’s and into the 1950’s, Cuba experienced tremendous growth. During that time, It was extremely popular as a vacation spot for jetsetting Americans looking for an exotic Caribbean getaway. All that changed with the Communist Revolution of 1959 and the resulting embargo by the USA, which halted trade and travel between the US and Cuba. Americans wishing to travel to Cuba had to enter from countries like Mexico or one of several locations in the Caribbean. When President Obama relaxed travel restrictions in 2016, travel from the United States once again opened up to Cuba. Most major airlines offer affordable routes to destinations throughout Cuba. However, Americans can still only visit if they fall into 12 categories of travel such as family visits, religious or educational activities, or humanitarian projects. This is a requirement of the US government, not Cuba. Airlines departing from the US are required to log your category of travel in their systems, but they don’t require any paperwork or validation of your selection. For several years after travel opened up to Cuba, individual travelers were visiting under a “People-to-People” visa. Under recent restrictions, however, “People-to-People” visits are limited to trips with licensed tour operators. American travelers can still visit with a “Support for the Cuban People” visa. 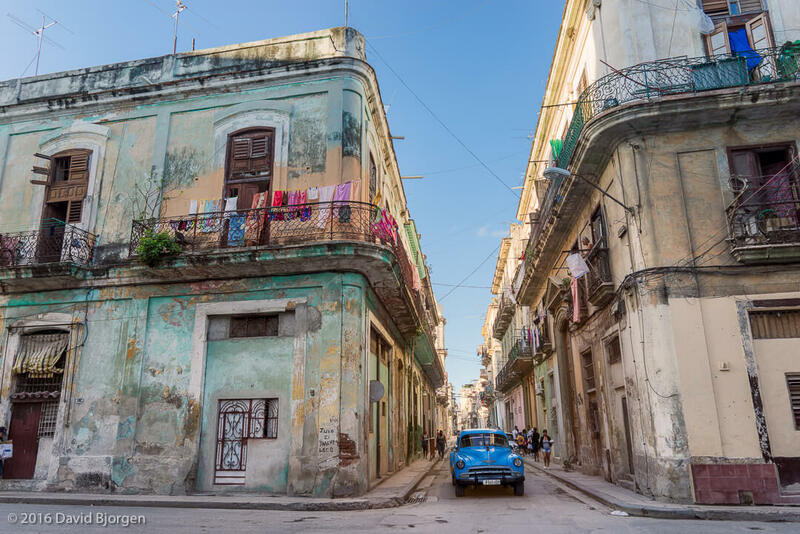 This visa requires travelers to stay in a casa particular (that is, a private residence or AirBnB) rather than a hotel, eat in paladares (privately-owned Cuban restaurants), and shop at private stores that are operated by self-employed Cubans. Two things Havana has lots of: classic cars and images of Che Guevara. Americans view Cuba as a land stuck in time. Because it has been off limits for so long, Americans are rushing to Cuba to see it before things change. The volume of American tourism since late-2016 has risen tremendously. 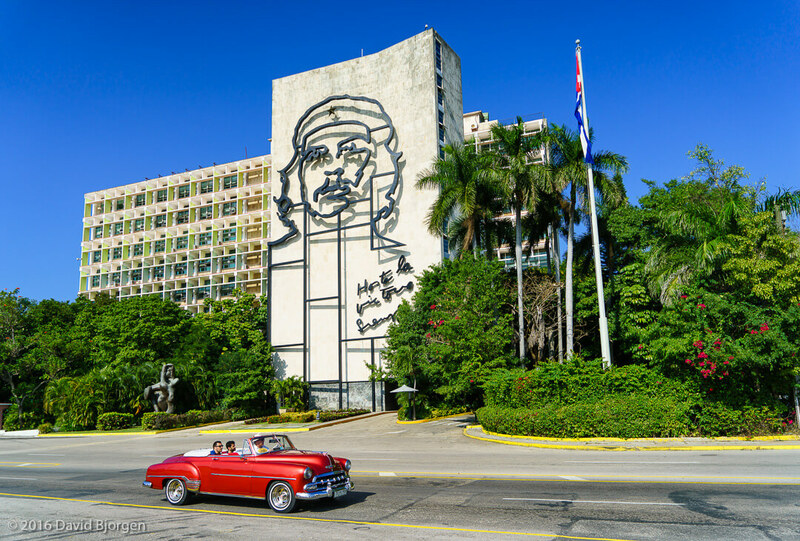 According to the state-run site CubaDebate, the number of Americans traveling to Cuba spiked in January of 2017 at 43,200. That’s a 125% increase from January of 2016! The increased volume of tourists have cause prices of hotels, restaurants, and transportation to skyrocket as they struggle to meet the demand. When we visited in December 2016, we prepared a budget based off information from other travelers who had visited in prior years. However, we found much of the cost information we had gleaned was outdated by the time we arrived. A typical street scene in Old Havana. Cuba has two local currencies, which is initially confusing but you get the hang of it pretty quickly. The Cuban Convertible Peso (CUC, and pronounced “kook”) is the “tourist” currency and is linked 1:1 with the US Dollar. When you exchange money, you will receive CUCs. The Cuban Peso (CUP or just peso) is the locals’ currency. 25 CUP is equal to 1 CUC. The CUP is rarely used by tourists. In fact, you can spend your entire visit in Cuba without spending a single CUP. The only time we found it beneficial to have a small amount of CUP on hand was when we were buying street food (which can also be purchased with CUC). Don't expect to use your credit or debit cards in Cuba. Because there are still trade restrictions with trade with Cuba, most US banks don't honor transactions from the island. Even if your financial institution allows transactions in Cuba, merchants don't even have the infrastructure to accept credit payments and ATMs are practically nonexistent. Be prepared to bring your entire budget in cash. Cuba currently levies a 10% tax on the exchange of US Dollars, so Mexican Pesos Canadian Dollars, or Euros are better for exchanging. 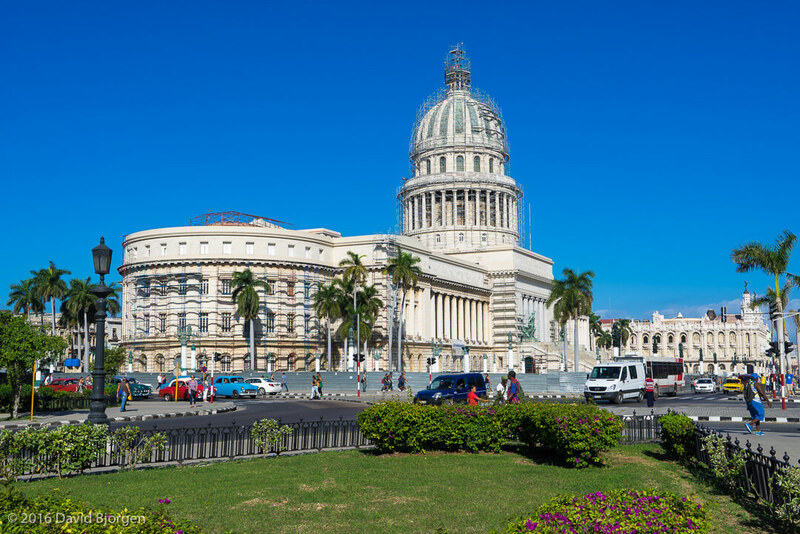 Completed in 1929, the design and name of the capitol building of Cuba was modeled after the United States Capitol. The average Cuban local speaks very little English, so knowing a few key words and phrases in Spanish can help make your stay more enjoyable. Tour guides and taxi drivers within major cities all seem to speak English quite well, however. I expect that as Cuban-American relations improve, English will become much more common. 6. You'll be "off the grid"
Internet is such a luxury in Cuba that most Cubans don't have regular access to it. Don't expect to have access to internet at all outside major cities. Within Havana, WiFi hotspots are available in major hotels and in certain public places. Internet access can be purchased by a vendor in one of the WiFi zones – generally someone hanging out in the middle of a crowd of people all staring at their phones. Interact access cards currently cost 2 CUC per hour. Pro Tip: Navigating While "Unplugged"
Just because you don't have access to Wi-Fi doesn't mean you can't use your phone to navigate. The Google Maps allows you to save maps for offline use. Open the app and navigate to your destination. Tap the menu icon, choose "Offline maps", and then choose "Custom map". Use pinch-to-zoom to capture the distance range you will need, and tap "Download". Now you can use your Google maps for walking directions, locating restaurants, and more, even when offline. Cuba has a shortage of basic goods. Many of the local stores only offer essential food and living items, and even those are scarce. When it comes to day-to-day necessities like hygiene items, sunscreen, or medications, you'd better bring it with you. We brought packaged snacks to hold us over between meals, but some street snacks like ice cream and churros are available. An increase in tourism means an increase in the cost of tourist activities. The area where we saw the most egregious price gouging was in securing transportation. Taxis, bici-taxis (a rickshaw-style taxi), and even the cute yellow cocotaxis all initially demand exorbitant prices for minimal distances. For instance, a bici-taxi ride across Old Havana generally costs between 1-2 CUC. It's not uncommon for the fare to be quoted at 5 CUC or higher, however! We advise negotiating a price before getting in the taxi in order to keep from getting ripped off. While I hate the feeling of being taken advantage of, I don't mind being generous. The average Cuban makes 12 CUCs a month (equivalent to 12 American dollars), so I would encourage you to tip generously when the service is good. Most Cuban families share resources and must rely on black market items to survive. 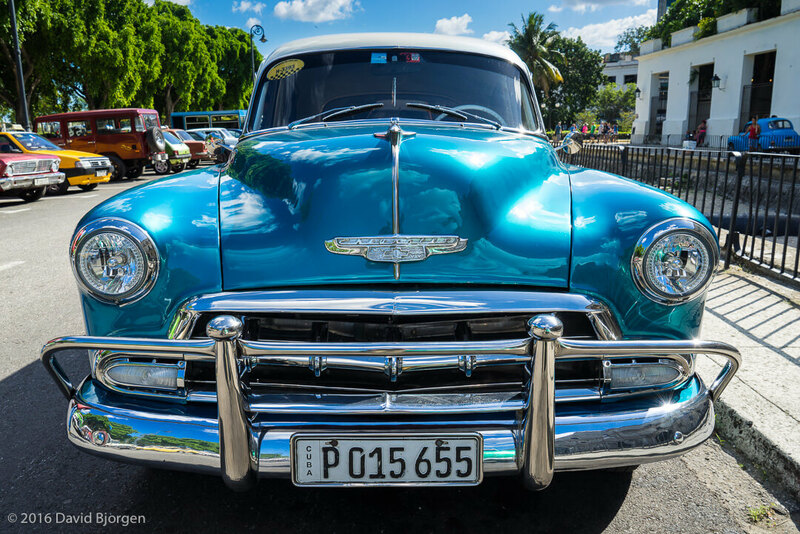 Vintage American cars from the 1950s abound on Havana's streets. Private home rentals in Cuba, or casa particulares, have been allowed since 2008. Since 2016, however, AirBnB has been active in Cuba, allowing many home owners to list their properties online. From $30-50 per night, you'll get a small, clean room and a Cuban breakfast. We stayed in a lovely little place in Old Havana near the Museum of the Revolution. 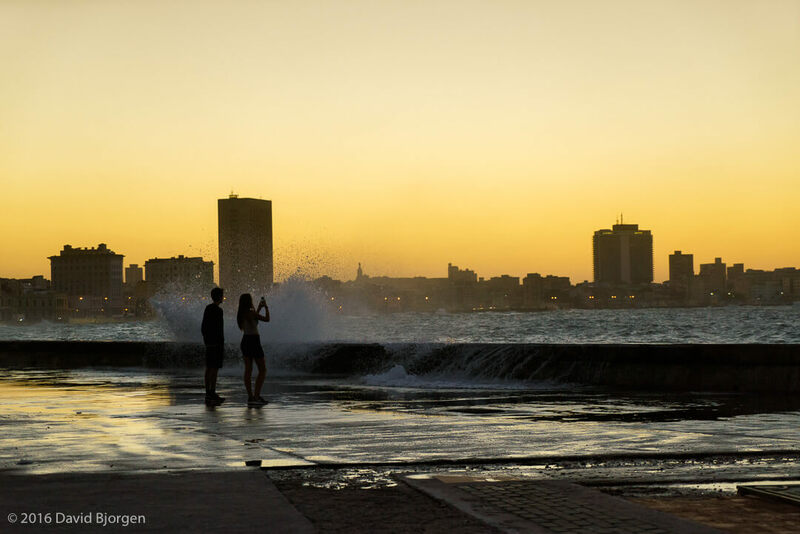 We could walk easily to the sites in Habana Vieja (Old Havana),Habana Centro (Central Havana), and along the Malecon (sea wall). Never tried AirBnB before? Get $40 off your first stay. There are two main types of restaurants in Cuba: government restaurants or private restaurants operated by locals. Government restaurants are cheaper, but the food quality and selection is generally pretty poor. We found the exception to be the very acceptable street pizza, which can be purchased for 1 CUC (or even less CUP) at various "hole-in-the-wall" restaurants in Old Havana. Private restaurants, known as paladars, generally have a greater selection (although only slightly) and better service, albeit at a higher price. It's not uncommon for a paladar to not have all of their menu offerings available. Meals typically consist of classic Cuban cuisine, such as beef or pork, beans, or seafood like fish or lobster. Even still there is no guarantee that the food will be good. Ordering drinks is one area where you generally can't go wrong. Cuba is known for its Havana Club rum and Mojitos. Do you have any addition tips for traveling to Cuba? Let us know in the comments. I really enjoyed reading. It has everything I needed to know about traveling to Cuba! And I was specifically looking for information about Havana. Glad it was helpful. Feel free to hit me up with more specific questions before your trip.